Hippocrates said that cancer is cured with crushed garlic. Garlic is a grocery store item. Which sentence do you disagree with? Does your grocery store not carry garlic? How many cases of what kinds of cancer did Hippocrates treat with crushed garlic? How many of what kinds of cancers were actually cured by the crushed garlic? How many of the patients did he treat with crushed garlic (or any other other common grocery store items) that died of cancer anyway? 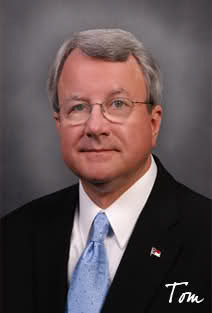 I don't know about you Tom, but I consider the success to failure rate of a proposed treatment to be fairly important. I'm talking about #227. The study says that it was tested in vivo. Microarray analysis of tumor tissue identified 515 common anticancer genes in the garlic and cisplatin groups ([Formula: see text]). Gene network analysis of 252 of these genes using the Cytoscape and ClueGo software packages mapped 17 genes and 9 gene ontologies to gene networks. BC (NMIBC and MIBC) patients with low expression of centromere protein M (CENPM) showed significantly better progression-free survival than those with high expression. 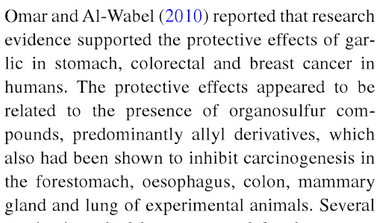 Garlic extract shows anticancer activity in vivo similar to that of cisplatin, with no evidence of side effects. Both appear to act by targeting protein-DNA complex assembly; in particular, expression of CENPM. 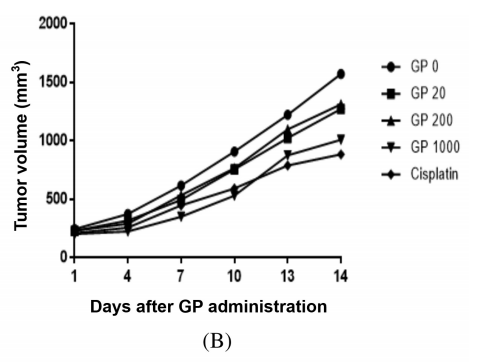 The sentence says that garlic shows similar anticancer activity to that of the chemotherapy drug cisplatin, in vivo, and without the side effects of a chemotherapy drug. - The study only takes into account the effect on bladder cancer in mice. They also only tested with one cell line. Do you still think, this study proves that 'Cancer is easily cured with common grocery store items'? Because I think this study only shows that garlic contains a molecule that can cause apoptosis if it's taken in very high doses. A fact that apparently is long known. I do agree that research in that direction might be helpful in the fight against cancer, but the study certainly does not prove the title of this thread. The study is one of numerous studies which states that garlic reverses cancer in animals. This one says that garlic performs similarly as a chemotherapy drug, and without the side effects. You can't do human experiments without permission from the government. They won't let you. Search Youtube and the web and you will find plenty of testimonies of people who claim to have had their cancers cured through garlic. Why don't US doctors ever prescribe herbs to patients, despite that there is clear evidence that herbs do cure illnesses? Medicine used to be herb based, after all. Not anymore. If a patient went to a doctor and was prescribed herbs that would be highly illegal and the doctor would likely lose his license and perhaps go to jail. They have to "do it by the book," and that book does not say to give herbs to patients. At best, an honest doctor will eventually suggest off-the-record to the patient to try an alternative medicine doctor if the pharmaceuticals are not working. Seen it happen. One cannot maintain that herbs do not cure when entire countries, such as China, have medical systems based around herbs. You will never see US doctors prescribing herbs for any ailment because there is a conspiracy to promote commercial pharmaceuticals. Doctors in western countries do not prescribe herbs anymore, and as long as the status quo is maintained, they never will. I'm not sure who Markjo agrees with. 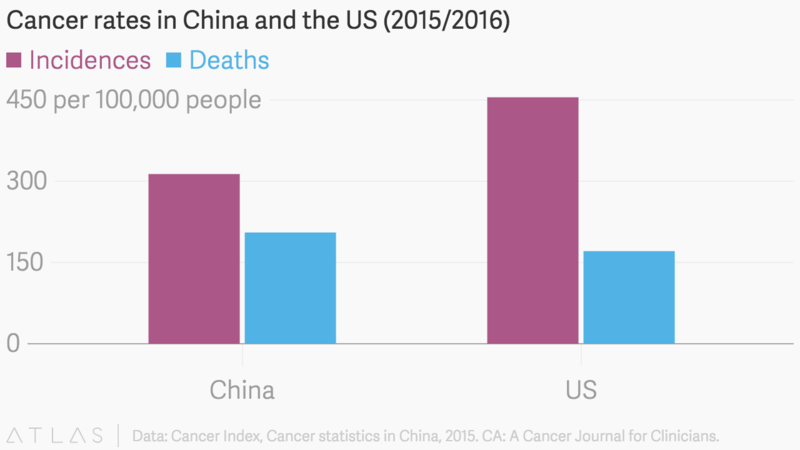 The five year survival rate of all cancers in China is 30.9 per cent - compared to 66 per cent in the US"
There is a large gap in rates of survival between China, and Western countries including European nations and the United States. Associate researcher at China’s Cancer Registration Center Zhang Siwei said that the overall survival rate is much higher for patients in developed countries. In the United States, the five year survival rate for all cancers is about 70 percent. This is about 40 percent higher than the overall rate in China." There is no “cure” for cancer. There is remission and there is survival. Herbs, etc. may definitely aid in the fight. But I’d be very careful about using the word “cure”. There is a large gap in rates of survival between China, and Western countries including European nations and the United States. No there isn't. You've a pretty similar chance of dying from cancer in either place. 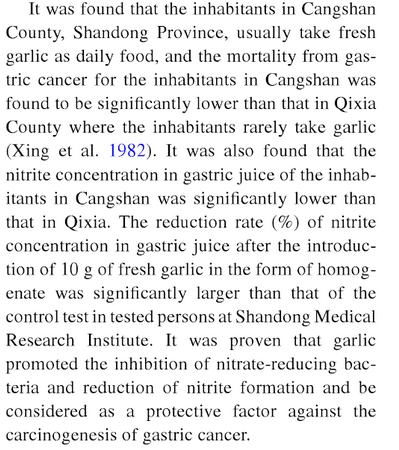 However you are much less likely to get cancer in China, due to all the garlic you likely eat. You can't claim more people surviving as a percentage is a win, when you have more people getting cancer in the first place. It would seem there are a baseline of deadly cancers that are going to kill you whatever (you get a cancer at 90 and really, what is anyone going to do?). But in garlic munching places, you are a third less likely to get a caner in the first place. Of the curable cancers, it would seem those who eat garlic are the best protected and their cancers don't make you so ill as to need medical attention. The garlic likely clears it right up before it becomes a problem. The most commonly found cancers vary between China and the USA. Cancers of the lung, breast, and gastrointestinal region, including those of the stomach, liver, esophagus, and colorectum, are more commonly seen in China than in the USA." Did they control for population like Thork pointed out? What does the "most common cancers seen" tell us? Why can't a place with low cancer rates also have a list of the "most common cancers seen"? Another factor is that some areas of China eat more garlic than others. We could go back and forth ad nauseam. My only point is that I take great issue with the OP: "Cancer is easily cured with common grocery store items"
It’s incredibly negligent, misleading, and disingenuous. Cancer is not “easily cured” by anything. Now as far as staving the prospect of getting cancer, sure, eating a healthy diet certainly aids in this as well as for other diseases and ailments. Also does abstaining from smoking, drinking and other known harmful activities. But to claim that garlic “cures” cancer. That is an out-and-out fallacy. Maybe you should take that up with Britain's NHS? Garlic may be used to treat brain cancers, The Times reported on September 1 2007. The newspaper reported that scientists had found that certain organic compounds in garlic kill tumours. The type of tumour in question, glioblastoma, tends to kill people soon after they are diagnosed. "What does the NHS Knowledge Service make of this study? This was a laboratory study, and no conclusions about the effects of garlic on human health can be drawn from it. This study did not look at the effects of eating garlic in people who have glioblastoma; it also did not look at whether eating garlic prevents people developing cancer. In addition, this study did not look at the effects of these garlic compounds on healthy human cells; therefore it is possible that these compounds also kill healthy cells. Based on this studies findings, we shouldn’t believe that eating garlic will prevent or cure cancer." So the NHS are just having a wild stab in the dark about garlic, are they? Maybe there is another entry where they suggest leeches or holy water? I don't claim to know what NHS' motivations are. You cited the report, I read it, and simply pointed out what the NHS said about the study. The NHS, as Tom pointed out, are basically saying clinical trials are on going, garlic does kill the cancer cells in the lab ... but there is no drug that can be sold for masses of profit at this time. The researchers found that all three compounds caused more glioblastoma cells to die (by a method known as apoptosis) than was observed in the untreated control cells. The higher the concentration of the compound used, the more cells died. Those are the results. Garlic kills cancer. It did kill some cells, in a lab. So do other compounds. I look forward to more research on the matter. In the mean time, Cancer is NOT easily cured with common grocery store items.